Imagine if you will that you have taken all the steps necessary to start your own business. You sit down and decide that although the company could theoretically function, I need some sort of uniform, t-shirts that inspire confidence and let my costumers know that we are for real. Okay, now where to I begin. Well truth be told the internet is a great place. It is the greatest source of knowledge available. Now the real trouble begins. If one uses the internet, then presumably geography is not of the utmost importance to him. This is good. In the modern screen printing industry you don't need to worry about geography. Telecommunications allows for all necessary information to be sent via the internet. The three the things that need to be considered when choosing a screen printer are price and customer service. 1. Price is a no brainer. If a company is nationally recognized, odds are they have some reach. They are probably able to get the job done cheaper then someone who prints only in a metropolitan area. This is not a guarantee, but often it can help narrow the search. I often recommend checking what printers are available in your state and local area, but it doesn't matter if they have a physical presence there. If you make sure that shipping is included in their quote then you can see more quotes and have a better chance at getting a better price. 2. Customer service is of equal importance. The firm that makes you feel comfortable time and time again and never lets you down is worth something. A firm that lets you know the cost up front or is willing to wave set up or art work is worth considering. These firms may even end up saving you money because they often want your business. In my experience the firm that is will to talk to you, give you a quote, and try to sell you on the idea wants your business and will work to get and keep it too. This doesn't mean that you want someone who is pushy and tries to force you into something that you don't need or want, rather look for a firm who is eager to do business and to please. 3. 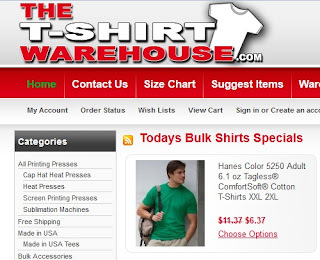 Deep discounts for buying in your own blank shirts in bulk. One of the ways you can save a fortune getting apparel screen printed is simply shopping around and buying all your blank shirts in bulk first, then just pay a local printer to do the printing. The money you save here can be huge, and the more work you bring the screen printer, the more they can deeply discount the printing price. Think about these things when you do go to buy screen printed t-shirts. The other thing to consider is killing a few birds with one stone. 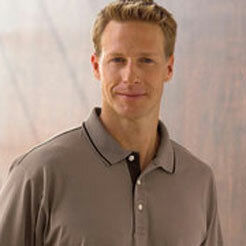 Promotional products which is something else you may consider buying. All and all do what is right for your business. In the business world everyone looks out for number one, but that doesn't mean there aren't people who want to see everyone succeed. Your best bet is placed with one of these people. They would love both you to make money and that is why they are what you need to look for in a screen printer: fair prices and good customer service. 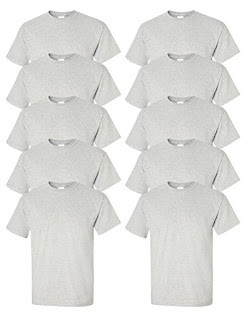 Remember, you have the right to buy blank shirts in bulk, then go find a printer. They will be grateful for getting any of your business, so don't think you are going to be upsetting anyone.